For no particular reason, here are two unrelated photos from the same day. Both photographs were taken on September 28, 2014 at our family prairie south of Aurora, Nebraska. I wish I could come up with a pithy and informative way to link the two together, or to a larger theme or lesson. I can’t. I just like the photos. I hope you do too. A katydid on stiff goldenrod. 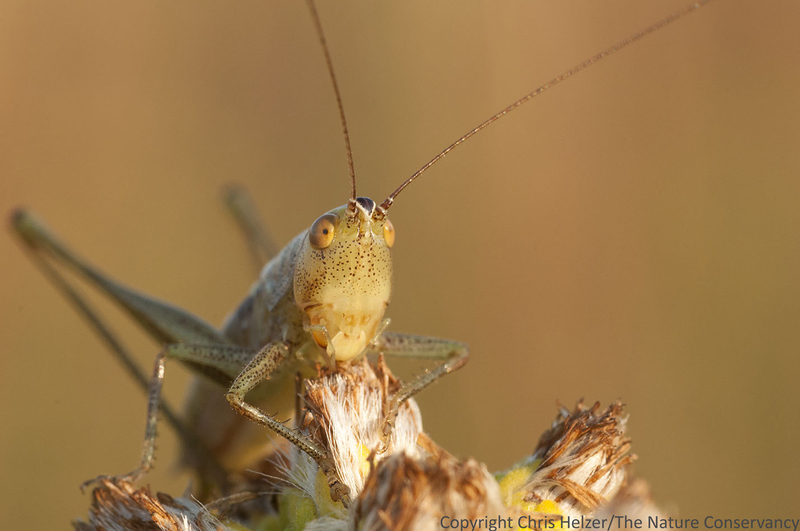 Frequent readers of The Prairie Ecologist will remember that you can distinguish a katydid from a grasshopper by its very long antenna. 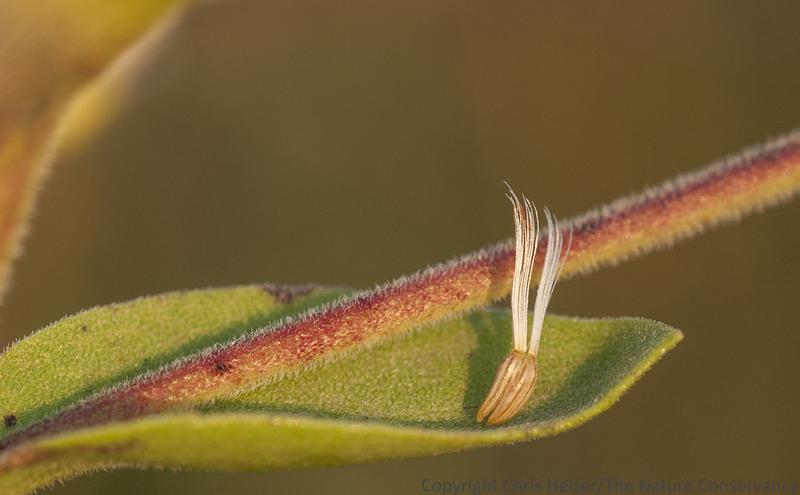 Stiff goldenrod seeds resting on the leaf beneath the seedhead from which they dropped.